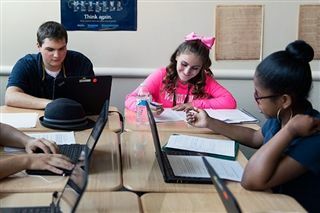 Woodlynde is one of the nation’s leading independent college prep schools serving students with learning differences. 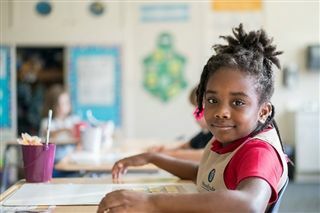 (Grades K-2) Offers the youngest students the benefit of a small, nurturing environment designed for those critical first years of a child's education. (Grades 3-5) Provides multi-sensory instruction focused on core reading, math, and writing skills while encouraging students to develop as strategic learners. (Grades 6-8) Encourages students to develop strong learning strategies and apply those strategies across a rich, multi-disciplinary curriculum. (Grades 9-12) Challenges students to develop mastery of the core curriculum, independent learning, and confident self-advocacy needed for college, career, and life. Upper classmen are also offered Honors, Advanced Placement, and college courses as well as a dedicated College Guidance Office. is a teaching methodology for creating joyful classrooms and guiding children’s social and emotional growth. Learning how one learns is a very empowering thing for students at Woodlynde School. It puts students' strengths and challenges into the appropriate context, and it clarifies that they are indeed intelligent, talented individuals who simply learn in their own unique way. The individual strategies they need to apply to turn their differences into positive learning outcomes are also a part of Metacognition, with each class led by one of Woodlynde's expert learning specialists. provides outstanding opportunities for students to explore extracurricular interests, find success, and experience personal growth. is a before- and after-school supervised time for fun activities and socialization for grades K-6. is an after-school homework assistance program guided by a learning specialist for grades 6-12.
provides recent graduates with a Woodlynde faculty mentor to offer continued guidance. is a post-graduate year, allowing students to earn up to 12 college credits at Rosemont College while continuing to receive support from Woodlynde faculty. 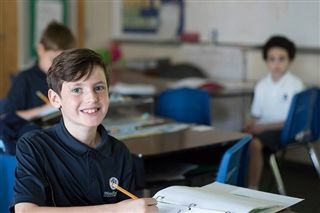 Students with average to above-average cognitive ability who experience academic difficulties related to Dyslexia, Dysgraphia, Dyscalculia, Auditory Processing Disorder, ADHD, and executive functioning deficits may be well served by Woodlynde School’s mission. Woodlynde School is not able to provide services to students with Autism Spectrum Disorder who need support to navigate the school day, or those with social-emotional or behavioral challenges. Woodlynde School has a positive impact on the whole family and is a valued and committed community leader and resource. The Woodlynde School Literacy Institute presents free speakers, panels, and workshops comprised of regional and national experts in the field of learning differences for Woodlynde families, educational and medical professionals, and those in the greater Philadelphia region. Past speakers and events include Dr. Ned Hallowell, Dr. Tamar Chansky, Dr. Kenneth Ginsburg, Dr. Jennifer Jackson Holden, and dyslexia simulations presented by PBIDA. Woodlynde also has an active Parent Community Association through which parent volunteers plan community-building activities for parents, faculty, and staff.